The Future of Washing is Here! Apart from the futuristic smart inverter motor, the LG Top Load Sapience Washing Machine offers a plethora of amazing features in terms of efficiency, art of washing as well as technology. Ready to take on the future with this latest innovation from LG and discover a newer and smarter way of doing your laundry. What is Smart Inverter Technology? 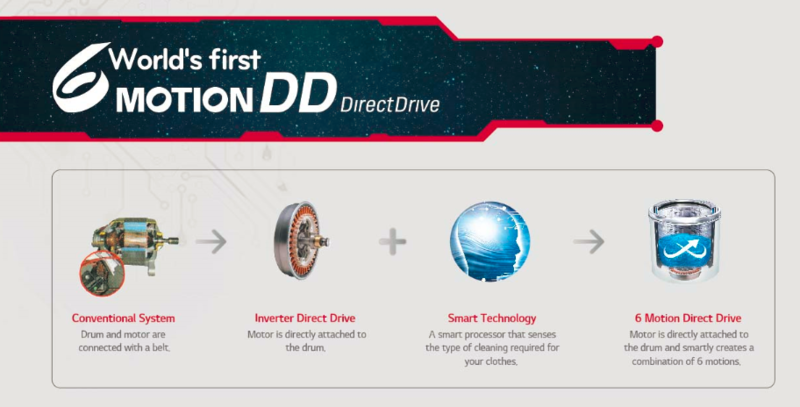 Conventional motor type starts and stops giving low fuel efficiency while the inverter type motor varies its speed but doesn’t stop. The Inverter Motor, an energy saving technology efficiently uses controls and uses the energy for giving a higher efficiency output. It is also known for its quite operation, low vibration and higher durability. Smart motion in LG Top Load Washing Machine enhances the washing of clothes with better care. There are 3 kinds of tub movements – agitating, rotating and swing. The Agitating tub movement offers powerful washing that removes heavy stains. The Rotating tub movement keeps the clothes free from tangling. It untangles the clothes at the end of wash and rinse cycle. The Swing Tub movement offers delicate wash by minimizing fabric damage. 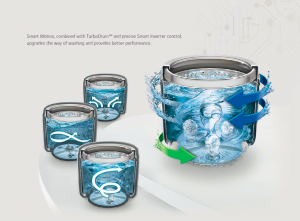 It offers the care of a hand-wash that removes toughest of dirt easily with TurboDrum. The strong stream of rotating drum and pulsator in opposite direction is crucial for your sparkling clothes. 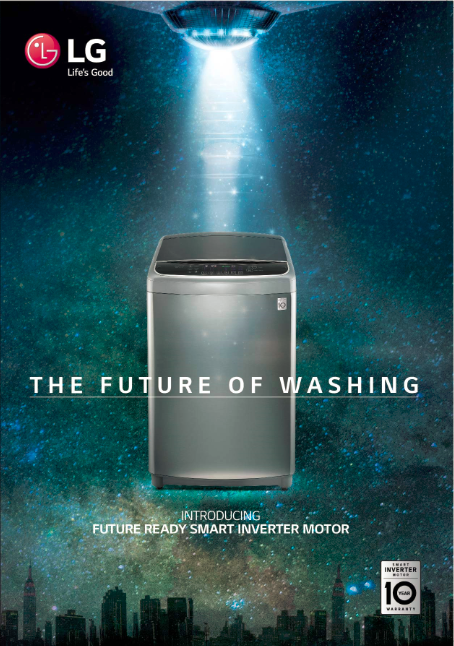 The next step in the evolution of washing machines but LG is the leader in it. It has been customized for improved energy efficiency and motor control. Unique because of its noiseless operation, the motor in here is directly attached to the drum. 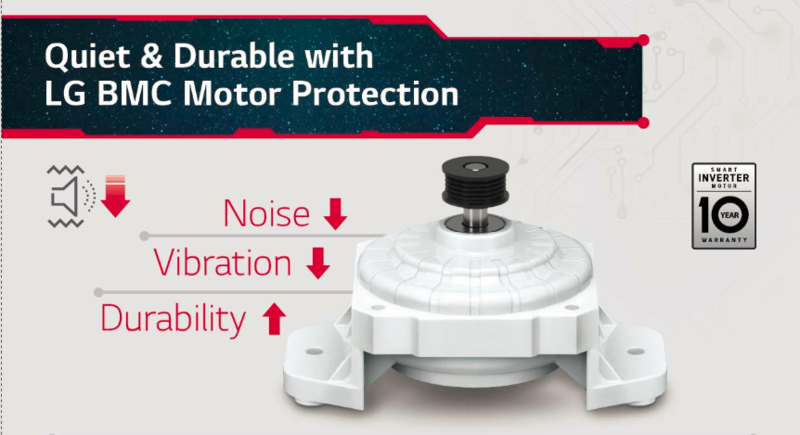 It smoothens the engine and drum movement by reducing the friction and offers enhanced durability as it doesn’t require the belt. Wave force: The Strong water currents gently remove dirt and stains. Agitating: Powerful wash removes even the most stubborn stain and dirt. Rubbing: It efficiently scrubs off old stains. Swing: It smoothly washes the delicate clothes with ease. 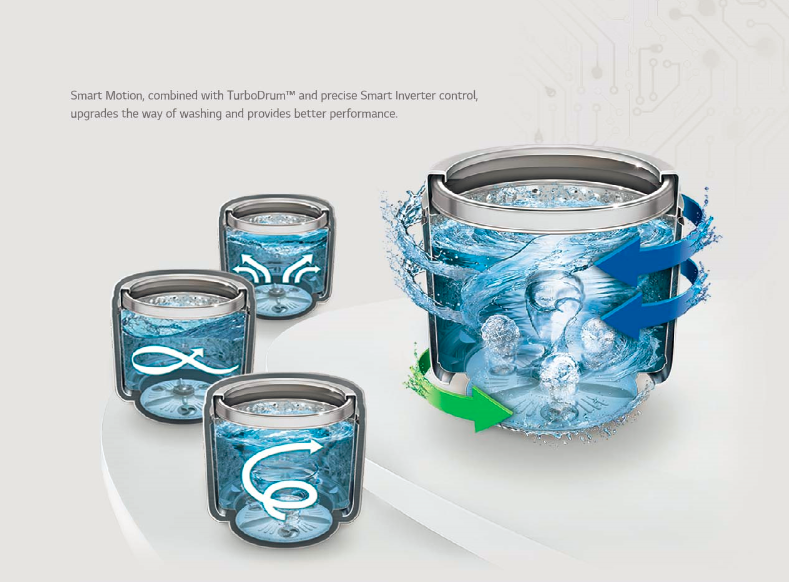 It offers 20%* better washing performance while reducing energy consumption by 25%* and lower water consumption by 45%*. If there’s a fault, use the LG App or make a phone call to the LG Service centre. An easy and convenient solution to the trouble shooting problems which is economic in nature as it saves on servicing cost. Soft and wide glass door is shock resistant, anti-scratch, noise reducing and wide view. Auto Restart begins the wash again from where it stopped during a power failure. Why it’s a Must Buy? Indeed, LG Sapience Washing Machines are ready for the future as it comes with the latest in innovation that saves on bills and is environment friendly as well. Now, don’t wait for the futuristic technology, the future of washing is already here. Take a look at the complete range here http://www.lg.com/in/washing-machines. LG Commercial AC – An Ideal Choice for a Corporate House? Really a great washing machine. Will include on our top 10 list. LG has been certified by UN for Energy Efficient Refrigerators. The Legend Comes to India- LG G3! Marlin Hitch on Industry’s First-Smart Connect Technology- Run your Refrigerator on Home Inverter!!! Delmer Strope on Industry’s First-Smart Connect Technology- Run your Refrigerator on Home Inverter!!! Copyright ©	2009-2019 LG Electronics. All Rights Reserved.